National Trust for Scotland bosses have put an eye-catching new hook in place to lure visitors to the Angus home of Peter Pan creator Sir J M Barrie. 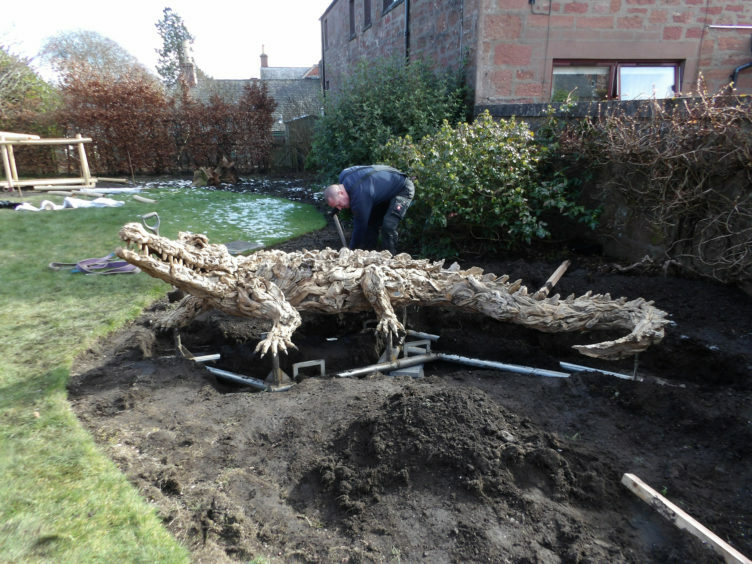 In the first stage of a plan to transform Barrie’s Kirriemuir birthplace into a horticultural Neverland, a life-sized driftwood sculpture of Tick Tock the crocodile has taken up residence in the garden of the Brechin Road property. 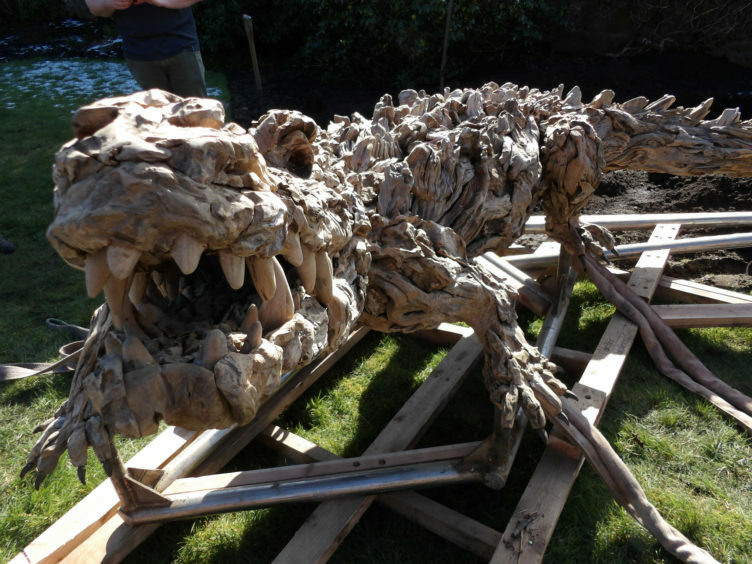 The statue of the infamous croc which took Captain Hook’s hand has been crafted by internationally-renowned sculptor James Doran-Webb, and will also make the clock ticking noise which has made the character memorable for generations of lovers of the famous fairytale. Mr Doran-Webb’s previous large scale creations have captivated tourists across the globe and include eagles, winged Pegasus, dragons and a stunning trio of thoroughbred horses in Singapore’s Gardens by the Bay. 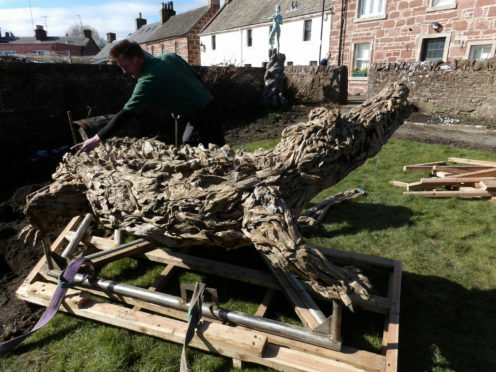 Tick Tock was lifted into the rear of the birthplace property and gingerly unpacked by NTS project staff to sit alongside the statue of Barrie’s famous fairtytale son which has been a feature of the garden for many years. Coming weeks will see the new garden filled with Neverland-style jungle plant life and pirate-themed installations for visitors to explore. 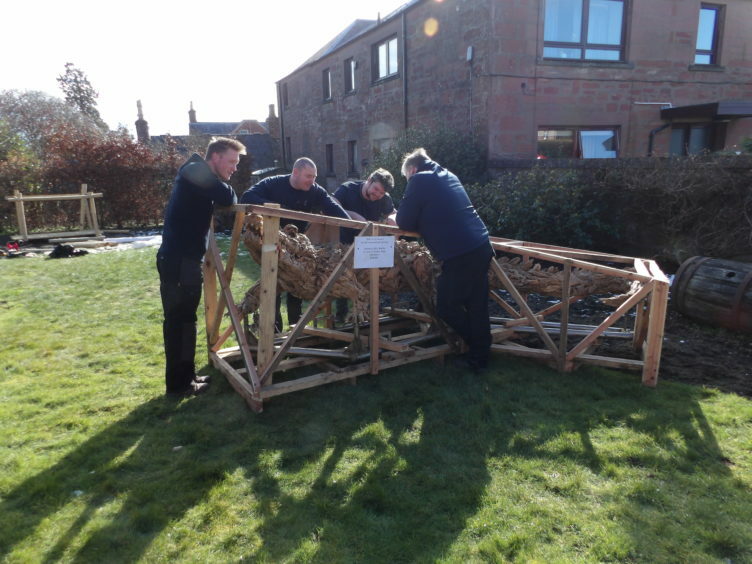 Chris Wardle, the National Trust for Scotland garden manager for Aberdeen and Angus, has been leading the project, which aims to tell the story of J M Barrie’s childhood in Scotland and how his early life in the weaver’s house inspired his work. He said: “J M Barrie is one of Scotland’s most creative storytellers, it’s hugely important that the we continue to tell the tale behind the writer. 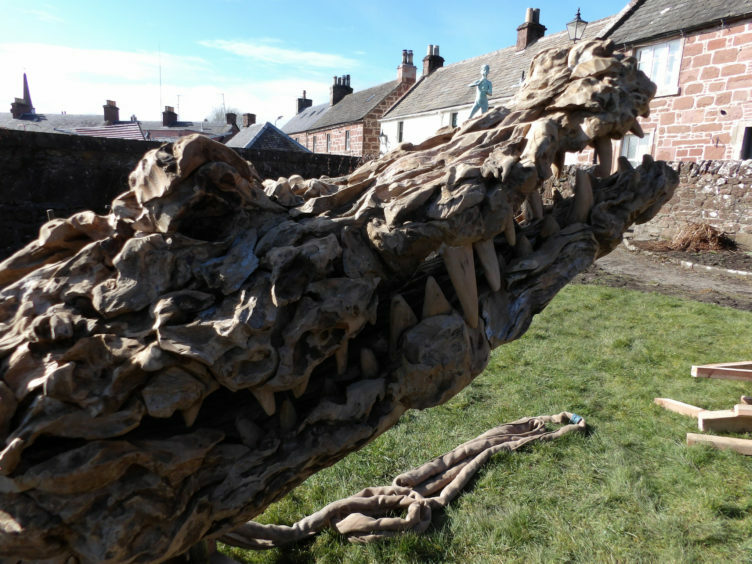 “To reflect the magic that his work is known for, we’re thrilled to reveal this celebratory garden. “Initially, the property had a small suburban garden paying homage to J M Barrie but this fell into disrepair over the years. “Now we’re aiming to reintroduce the people of Scotland to this story and provide a new place for families to adventure and discover Neverland here in the heart of Angus. 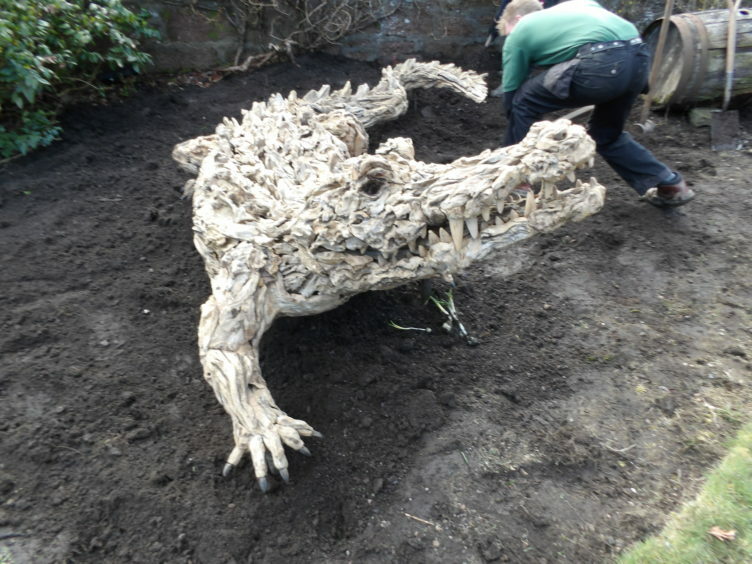 Following the installation of Tick Tock the crocodile, the NTS has plans for a community planting day in mid-April when volunteers can help sow the seeds for the rest of the Neverland garden project.